You are invited to attend a meeting on Thursday** morning at 7:15 a.m. at Empire Diner, 1315 Route 46, Parsippany. HAPPY BIRTHDAY TO OUR MEMBERS!! April 26 – Trivia 2019, Parsippany P.A.L Doors open 6:15 p.m. Click here for registration form. May 1 – Candidates Night, Hammonton, 6:00 p.m.
May 7 – Candidates Night, North Brunswick, 7:00 p.m.
May 4 – Candidates Night, New Deal, 7:00 p.m.
May 22 – Candidates Night, Hanover Manor, 6:30 p.m.
May 30 – Candidates Night, Budd Lake, 7:30 p.m.
June 15 – Touch a Truck. Click here for Sponsor Letter – 11:00 a.m. to 2:00 p.m.; 1515 Route 10 West, Parsippany. To volunteer contact Frank Cahill by clicking here. AMAZONSMILE FOR GREATER PARSIPPANY FOUNDATION – Amazon.com will contribute .5% of the price of your eligible AmazonSmile purchase to our foundation. All you have to do is shop at smile.amazon.com. AmazonSmile is the same Amazon you know; same products, same prices, same service (and it works with amazon prime accounts) It’s that simple to add funds to our foundation!!! It’s super easy…. GUESTS TO BREAKFAST MEETINGS – Invited someone to come to one of our breakfast meetings, but please let Bob Keller or Ronda Kron know. They will make sure our guests feel welcome and are greeted and get breakfast. TRIVIA NIGHT – Start getting your teams together. April 26, Friday evening. New to Trivia? Teams of no more than 8 people answer questions as a team. There are 10 categories of 10 questions. Doors at the P.A.L. building will open at 6:15. Gather with your teammates to have dinner and refreshments before the games begin at 7:30. You bring your own food and beverages. (adult beverages are permitted) Plates, cups, plasticware, soda, water, coffee and cookies will be provided. There’s a lot of laughing and good competition throughout the night. The registration form can be found on our website or at any morning meeting. We need help with set up that day and we need one more judge. If you have any questions or want to help, please speak to Greg or Susan Elbin. Please support the following businesses who are Mission Partners of our Club: Beline/Hecht Family, Burgis Associates, Inc., Cerbo Lumber, John Chadwick, Nancy and Steve Dickens, The Elbinage – Gregory and Susan Elbin, Empire Diner, Garofalo and O’Neill, IHOP, Ronda and Stanley Kron, Dr. Lou Lorenzo, The Meth Family, Morris Plains Automotive, Parsippany Area Chamber of Commerce, Paul Miller Auto Group, Robert Peluso, Priola Funeral Home, Par Troy Funeral Home, Western Pest Services, Wolf Business Associates (Maxine and Herb Wolf) and Trophy King. Newsletter information: If you have any information for the good of the Club that you would like included in the weekly newsletter, please send it to Connie Keller by Monday morning so your information can be included in the next weekly edition. NEW INCLEMENT WEATHER POLICY – If the Parsippany-Troy Hills Schools are closed or have a delayed opened, our Kiwanis meeting will be cancelled. Remember you can find out about school closures by going to the school website at http://www.pthsd.k12.nj.us/ WMTR Radio 1250 AM or on TV Channel 7. BOILING SPRINGS COMMUNITY ALLIANCE PROGRAM – We have 31 accounts signed up! Supporter account forms are always available at any Boiling Springs Bank or online at www.bssbank.com. These forms are available at Thursday meetings. Remember if you have an account at Boiling Springs, this does not cost you anything, your interest rates etc will remain the same, but Kiwanis Club receives a quarterly dividend check to help offset some of our operating costs.  Order your FREE Membership Applications: Every Kiwanis member can order and receive 50 Membership Applications free of charge from Kiwanis International. Please click on this link and order 2 packages (25 each) and bring them to a breakfast meeting. Our goal in the 2018-2019 is to increase membership, and we need to work as a team to accomplish this! 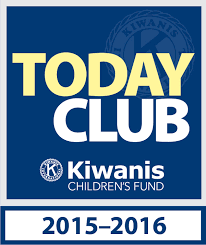 Click here to go to Kiwanis International Store. **Evening meetings will be announced.